Science Seen Time One author Colin Gillespie helps you understand the physics of your world. An Australian-born physicist, Canadian lawyer, strategist and writer with two doctoral degrees, Gillespie is the author of three books and thirty scientific research publications. Particle physics treats the electron as having zero size. But recently its size and even its shape have been the subject of serious investigations. They hinge on a simple but audacious question: If the electron has size, and therefore a shape, what if it is not exactly spherical? A non-spherical electron’s charge would give it a dipole moment—that is, one end (so to speak) would be a bit more negative than the other end. In principle, this could be observed: Hold an electron between two oppositely charged plates; the electric field between them will cause the dipole to wobble (it is called precession). As it wobbles, it emits a detectable electromagnetic signal. In practice, detecting this is difficult: We cannot “hold” the electron in place, so it moves swiftly to the positive plate. There is only a fleeting instant to make the measurement. Nevertheless, such measurements are being made and they may help physics plumb the depths of the Planck-scale world. 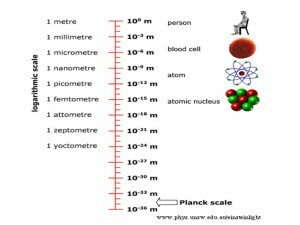 Physicists long suspected the existence of Planck scale. It is the extremely tiny size at which space no longer seems continuous because it is granular. It is the scale at which everything is really happening. Problem is, physicists’ finest tools fall hopelessly short of tapping into it. Lacking tools that can observe at Planck scale, physics is like those chained in Plato’s cave who saw only the shadows of reality. Elsewhere I have suggested deciphering the message of those shadows may be our only window on the Planck-scale world. But maybe electron-wobble measurements could lead to a direct way. Physics studies how things work in terms of the relations between smaller things of which they are made. It builds ever bigger (and ever more expensive) tools to smash things down to smaller size. Atoms, once thought to be unsmashable, are now routinely smashed down to sub-subatomic size. For example, a quark (made by smashing a proton) might be in the order of a quadrillionth of a meter across. Though this may sound small, it is about 100,000,000,000,000,000,000 times larger than Planck size. There is no prospect whatever of smashing anything down to a size a billion-billion times smaller. But refinements of the wobble measurements may now offer a new strategy. Scientists are using molecules with internal electric fields far stronger than those created between charged plates. They study signals from electrons inside molecules like hafnium fluoride. With this approach no smashing is needed. 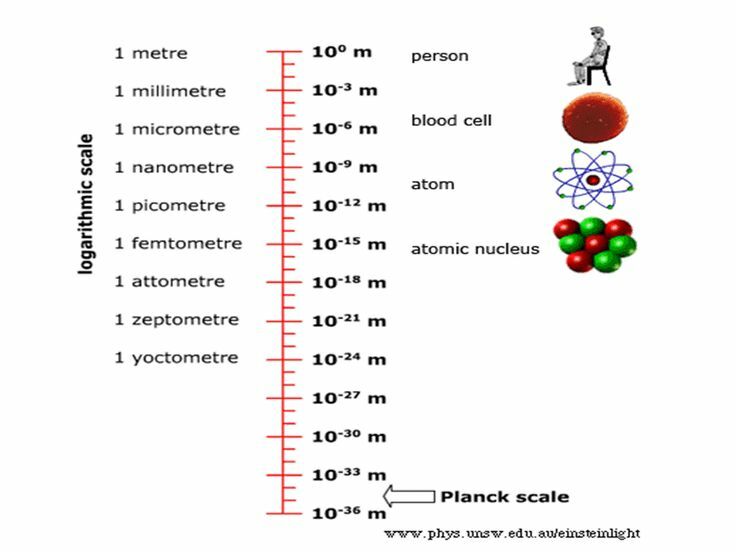 These measurements now set a maximum to how far out of shape the electron can be and it’s a giant step (if that’s the right turn of phrase) smaller: only about 100,000,000 times Planck size. Next year, an American team hopes to upgrade the same system to cut that by a factor of ten. This is amazing progress but well short of the Planck size. The hope is to find evidence the electron is non-spherical before the new strategy runs into some insuperable roadblock. Many have eyes on the prize. A British team plans to use lasers to hold and cool ytterbium fluoride molecules. They think they may get to less than 1,000,000 times Planck scale. If so, they may be tantalizingly close. Australian topologist Sundance Bilson-Thompson proposes the electron—and all the Standard Model’s fundamental particles—is made of six half-twists braided in the fabric of space. These twists need not be next-door neighbors in granular space. If, as I think likely, they are spread out over thousands of granules of space, the new strategy may soon be within two or three orders of magnitude of giving us a direct window into how Planck-scale physics works. How does Planck-scale physics work? What are the quanta in quantum gravity? A hundred years ago Einstein said “space”. So where are we now?